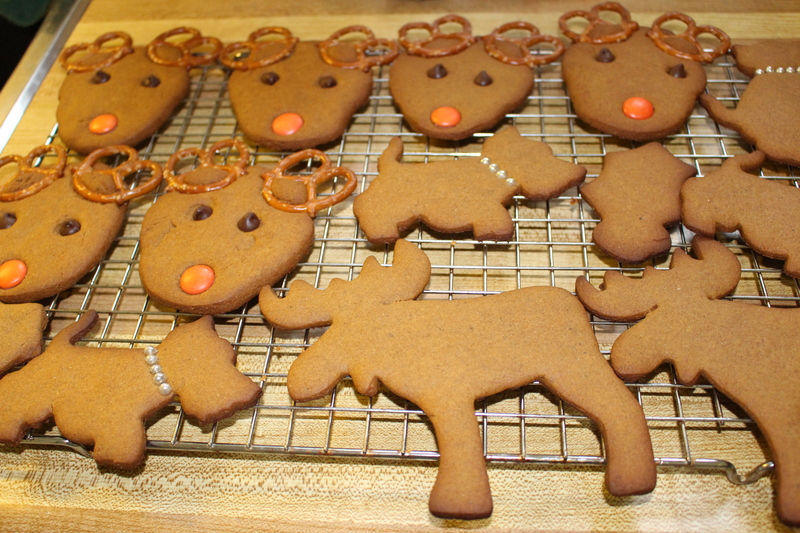 These were supposed to be reindeer, but Evie insists that they look more like little mice. 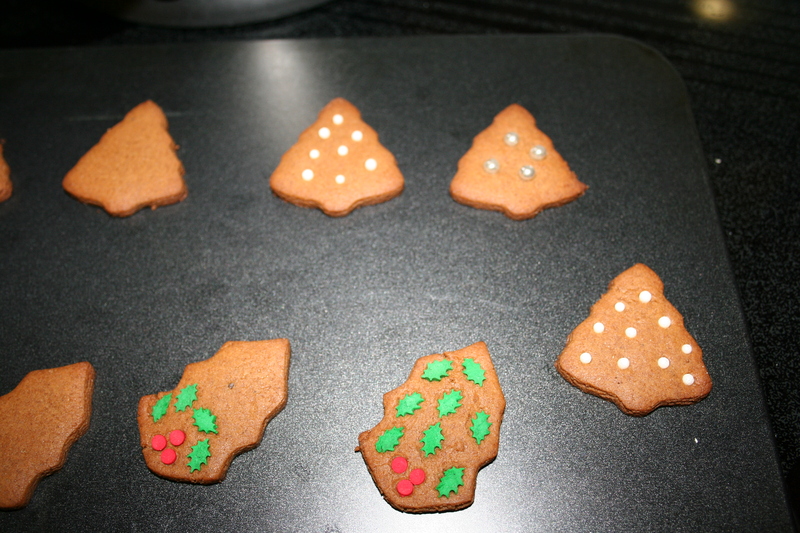 She said they remind her of her book GingerBread Mouse (by Katy Bratun). 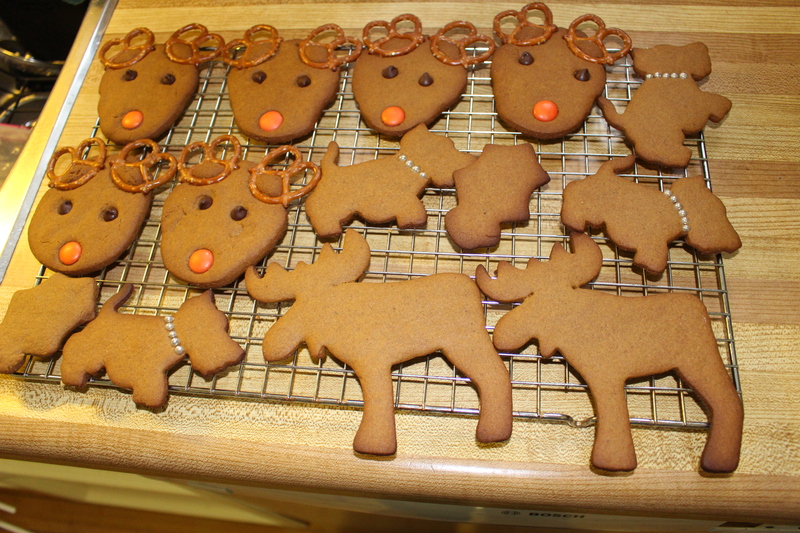 Either way, mice or reindeer they are cute and fun to make. 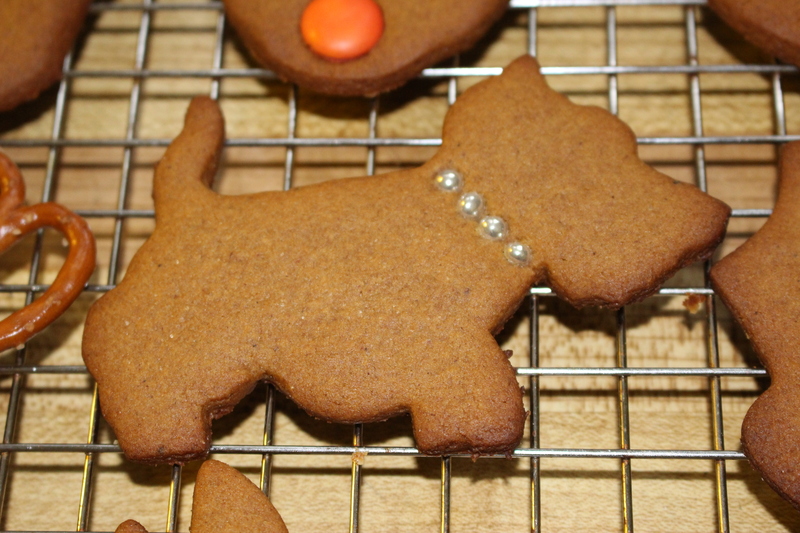 We also made a few Westies, moose and other holiday shapes. 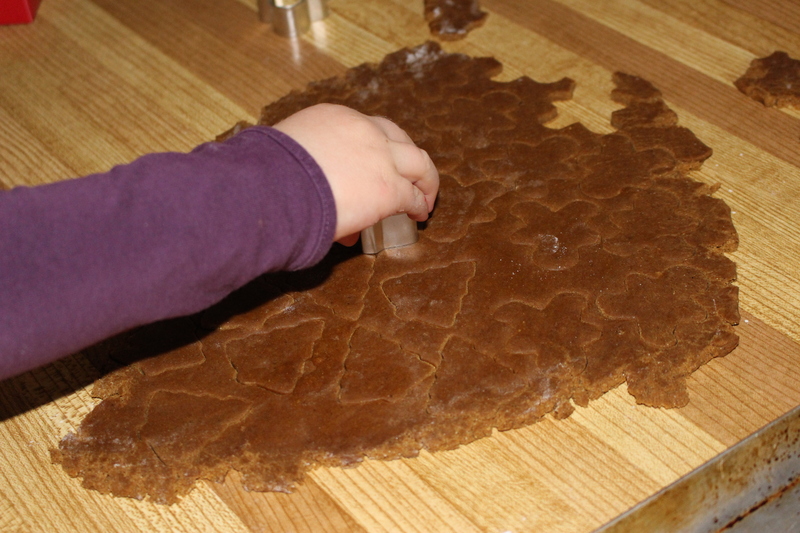 It is a really easy gingerbread cookie recipe too. 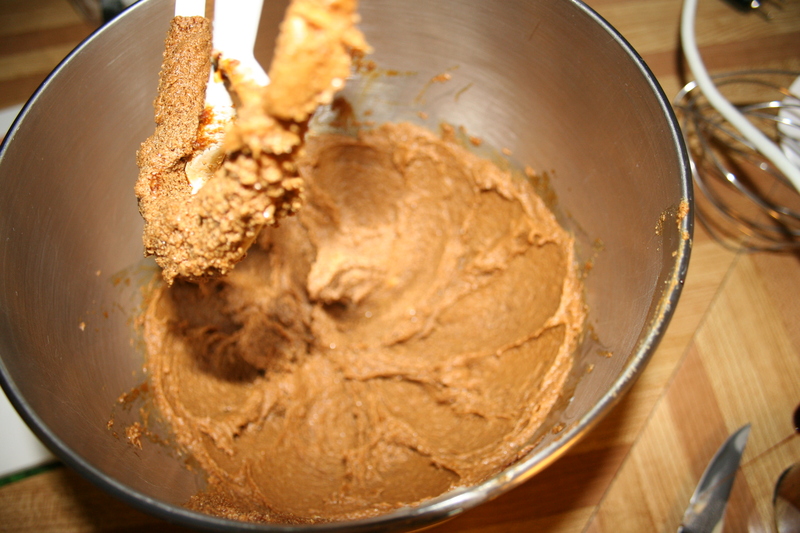 1/2 cup butter, softened to room temperature. 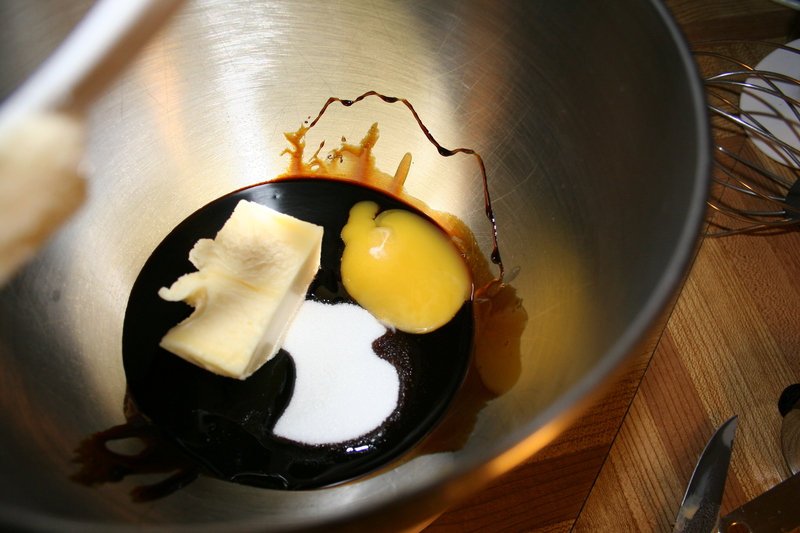 Cream the above ingredients together until light. 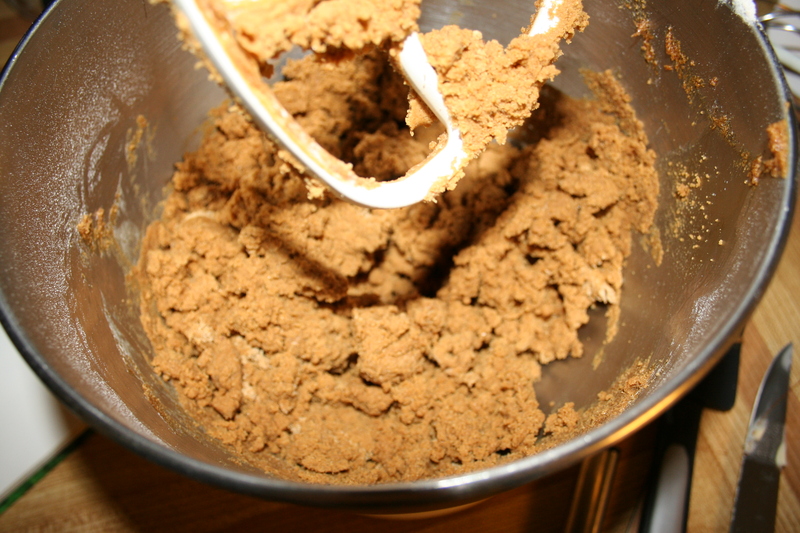 Blend the dry ingredient into the wet ingredients and mix until you have a dough. pat into a disk wrapped in plastic wrap and chill at least 1 hour before using. 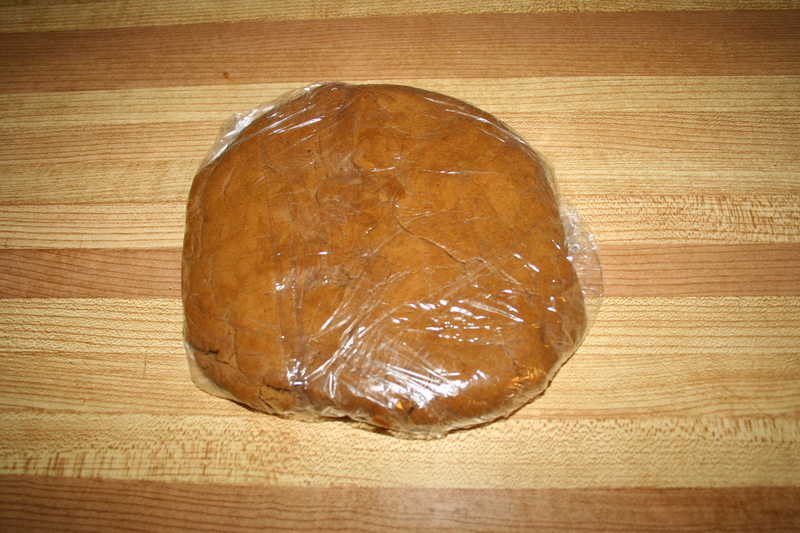 Let chilled dough come to room temperature, about 15-20 minutes. 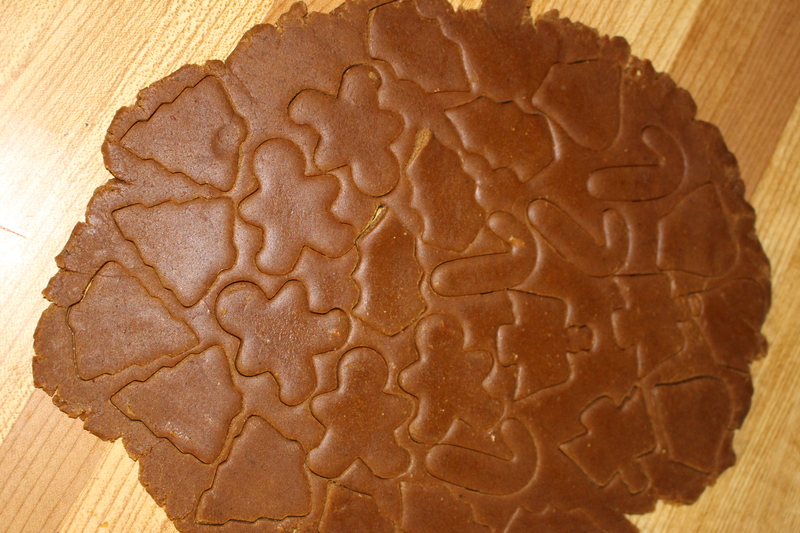 Then roll out to about 1/4″ thick and cut into you favourite shapes. 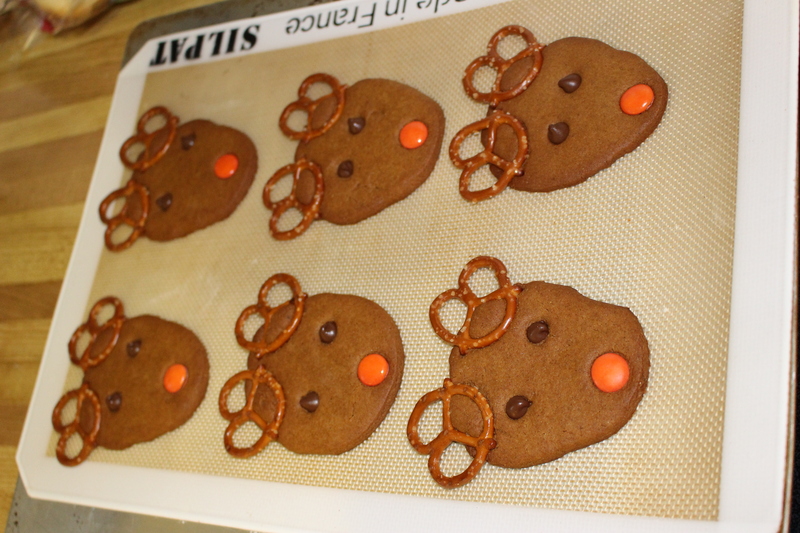 For the mice/reindeer press pretzel twists for the ears and chocolate chips for the eyes and a red Smartie (or M&M) for the nose. Bake at 350F for 10-12 minutes. Let cool on a wire rack. 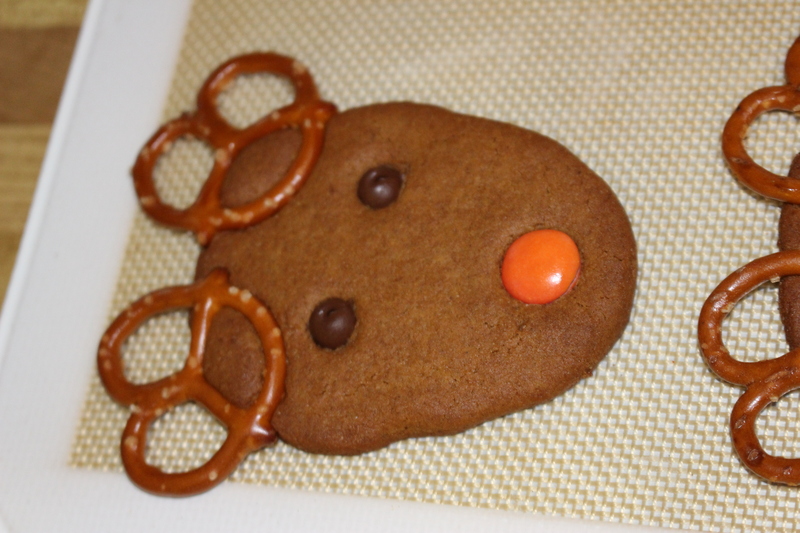 This entry was posted in baking and tagged christmas, gingerbread cookies, M&Ms, mice, pretzels, reindeer, samrties. I think Evie has a point – they look like cute mice. 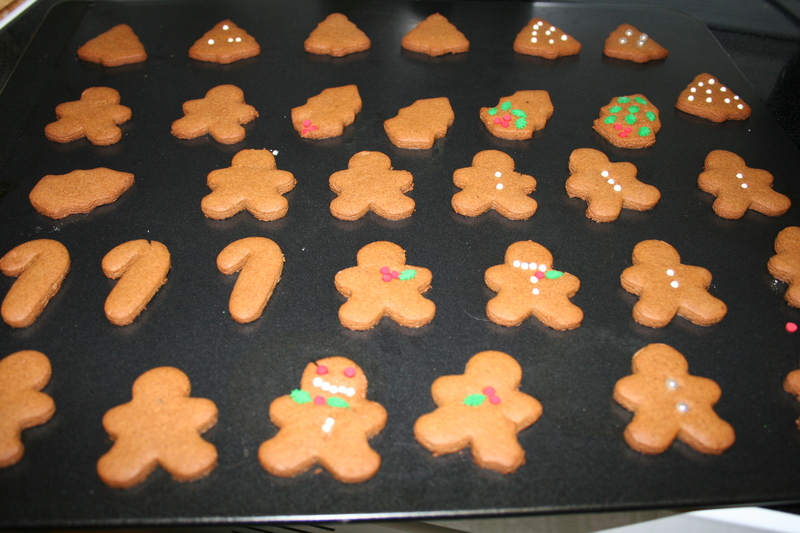 Gingerbread cookies are my little man’s favourite at the moment too. Gorgeous mousedeer 🙂 and a wonderful festive season recipe.